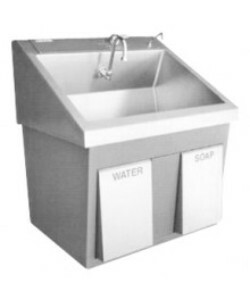 Built with safety in mind, these state-of-the-art surgical scrub sinks offer ease, convenience, and utility for all users. 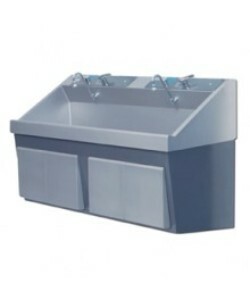 Durable and hands-free, Auxo Medical offers the highest quality scrub sinks from leading brands such as Steris and Mac Medical. 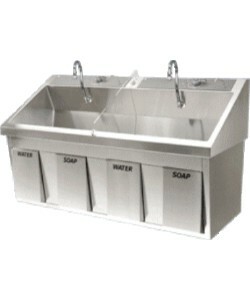 Offering one-, two-, and three-sink options, Auxo Medical has the right scrub sink for any operating room. 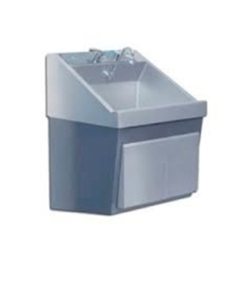 Whether your facility needs a scrub sink with deep basins, adjustable spouts, easy to use mixing valves, or optimum water temperature and pressure, our surgical scrub sinks can fit your need. 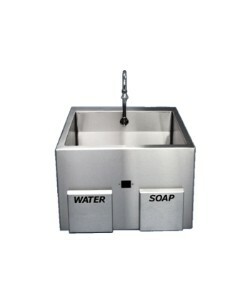 Our refurbished, stainless steel, easy to clean sinks offer user-friendly water controls with convenient knee and foot pedals. 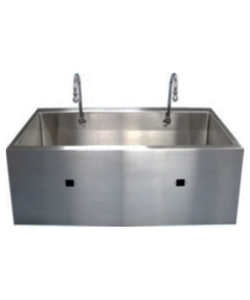 Understanding how important scrub sinks are for operating rooms, Auxo Medical provides only the most popular brands that focus on craftsmanship and industry-leading components.